All applications are due as hardcopy form or electronic form to the selection committee chairman by 5:00 pm on February 1, 2019. 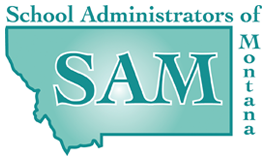 The selection of the Montana Rural Teacher of the Year will be completed by February 8, 2019. Susan Metcalf, PO Box 1310, Big Timber, MT. 59011-1310. Pictured Right: MT Rural Teacher of the Year, Kathy Currie. Jill is currently teaching 3rd-5th and 4th-8th specials at Woodman School. This is her 10th teaching year at Woodman. Before that, she taught 3 years in Elk City, ID and also worked as a Fire Prevention Educator and did wildland fire suppression for the Nez Perce N.F. She received her teaching credentials from Lewis-Clark State College in Lewiston, Idaho. Jill enjoys the outdoors and is always finding ways to teach outside. She has taught at many summer camps, coached basketball, was a 4-H survival leader, is a NASP instructor, and is currently the MBI Youth coordinator with middle school students at Woodman as well as a hunter/bow hunter instructor for Fish, Wildlife, and Parks. She also is an EF Tour group leader; taking students to Belize in June 2018. Jill was chosen as the 2017 Montana Rural Teacher of the Year. She enjoys many experiences with her husband, Mark; sons, Jace and Trevor; and their yellow lab, Tank in the great outdoors. Leah Shannon was selected by the Montana Association of County School Superintendents as the 2016 Montana “Rural Teacher of the Year”. Ms. Shannon was honored at the MACSS Spring Conference held in Great Falls, Montana in late March. Leah now enters the national competition sponsored by the National Rural Education Association and the Monsanto Foundation. Leah will be recognized next October in Columbus, Ohio at the NREA Annual Symposium and Conference. Leah and her school received a monetary award and will get her way paid for the national conference. Good luck Leah!